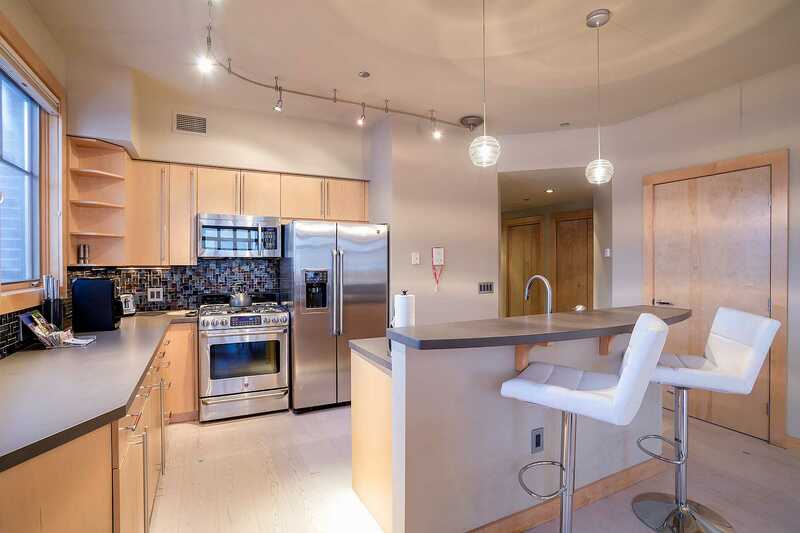 This modern condominium blends elegance, style and urban sophistication together with western perfection. 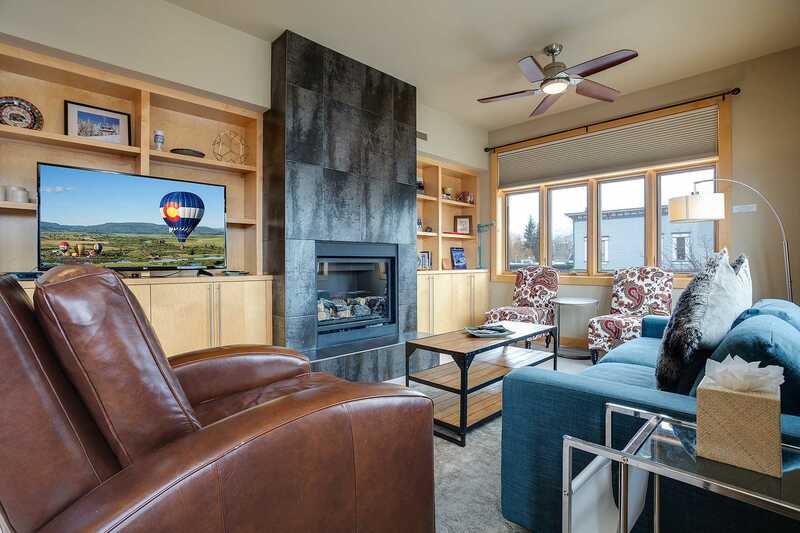 The living room is sure to please with a flat screen television, gas fireplace, and lots of window with spectacular views of Steamboat Springs and the ski area. 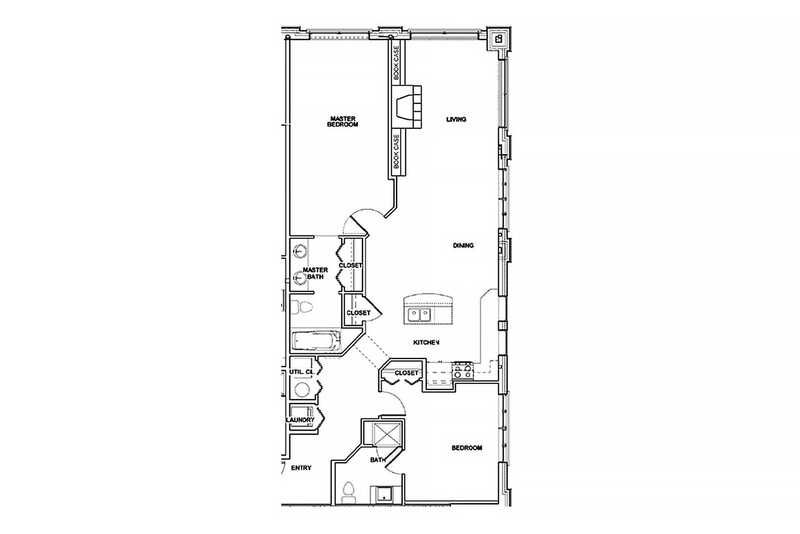 In the kitchen you will find all stainless steel appliances, Wolf Stove, maple European-style cabinetry and a two person bar. 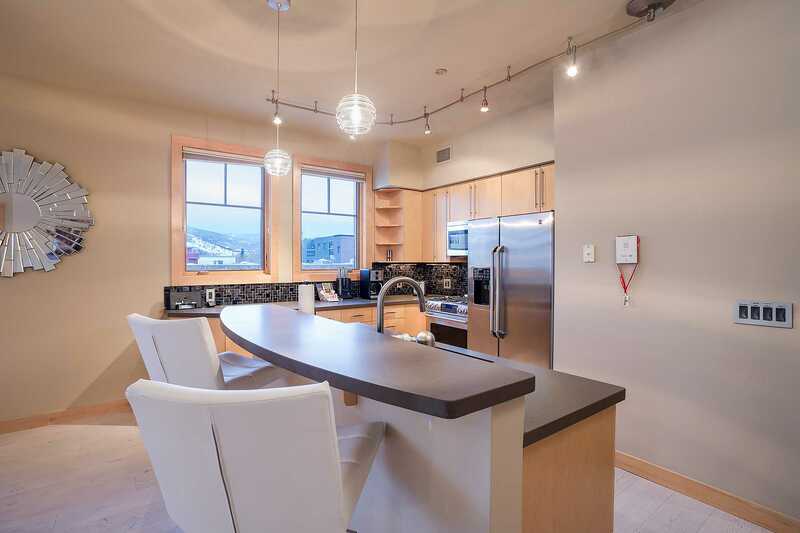 The dining area features views of Mt. Werner and a table that seats six. The master bedroom has a king sized bed, flat screen television, and private bathroom with a tiled shower/tub combination and double sink. 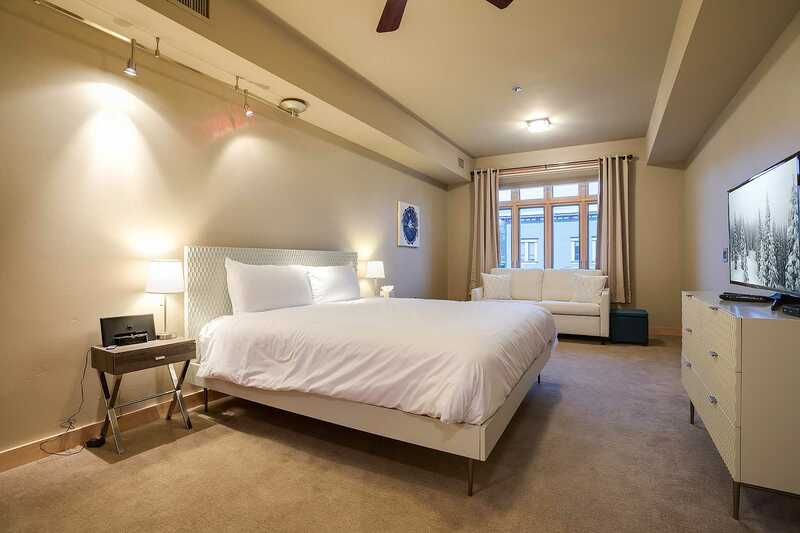 The second bedroom features a queen bed and a private bathroom with a glass enclosed tiled shower. There is also a queen sleeper sofa in the living room. This is a Platinum Collection Property: The Platinum Collection consists of a unique and careful selection of our finest properties. 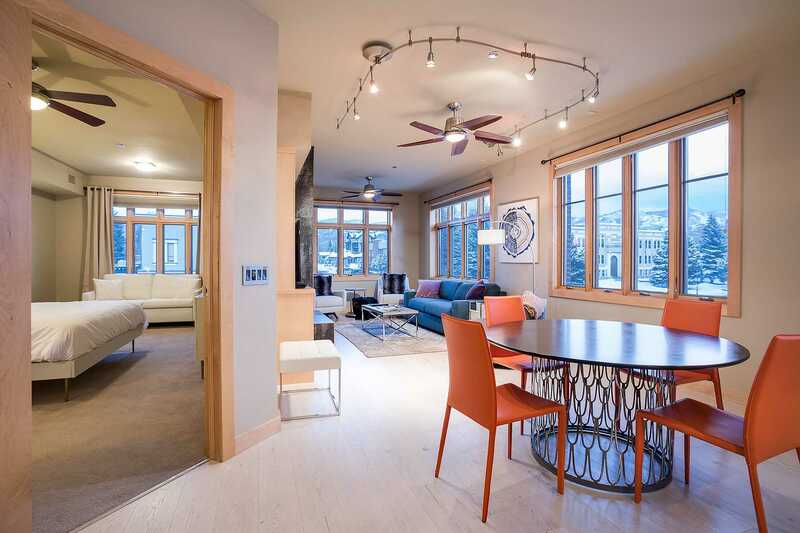 Alpenglow offers condominiums throughout the second and third floors of the Alpenglow Building at 601 Lincoln Avenue, ranging in size from 1292 to 1815 square feet. 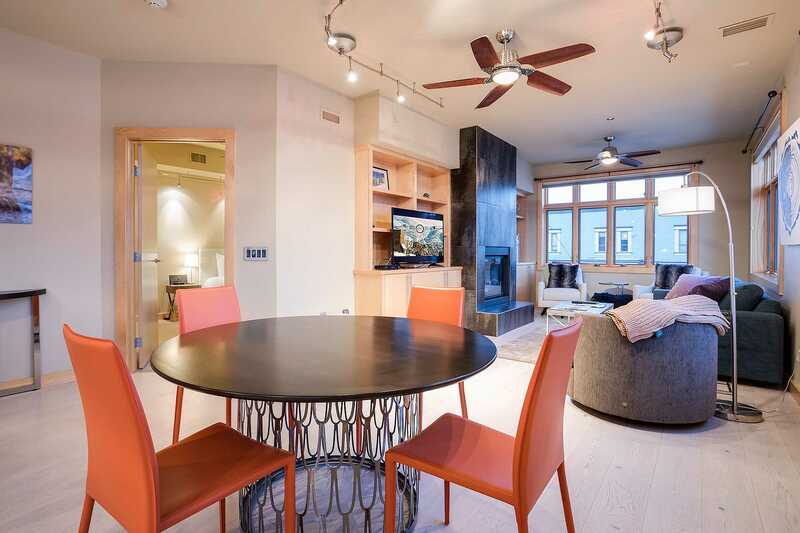 The Alpenglow Condominiums provide a unique blend of the rugged, untamed nature of the West and contemporary lines of modern awareness. The result is western urban sophistication. These contemporary properties are open, yet inviting. 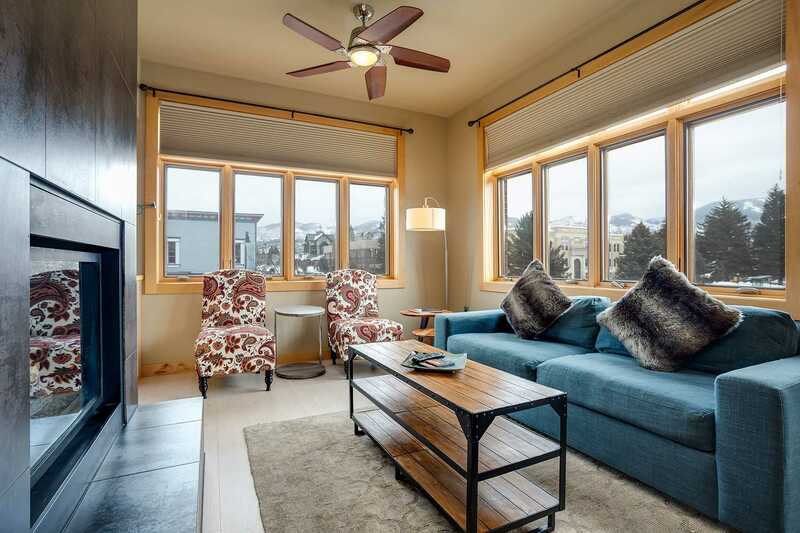 Living spaces are accented with urban-inspired materials that provide a chic and stylish atmosphere. The condominiums have been designed with stainless steel appliances, glass tile, maple European-style cabinetry, hardwood floors, sleek rail system lighting, leather and steel cabinetry and door hardware - all of which meld seamlessly with the striking, industrial design of the steel and copper fireplaces. 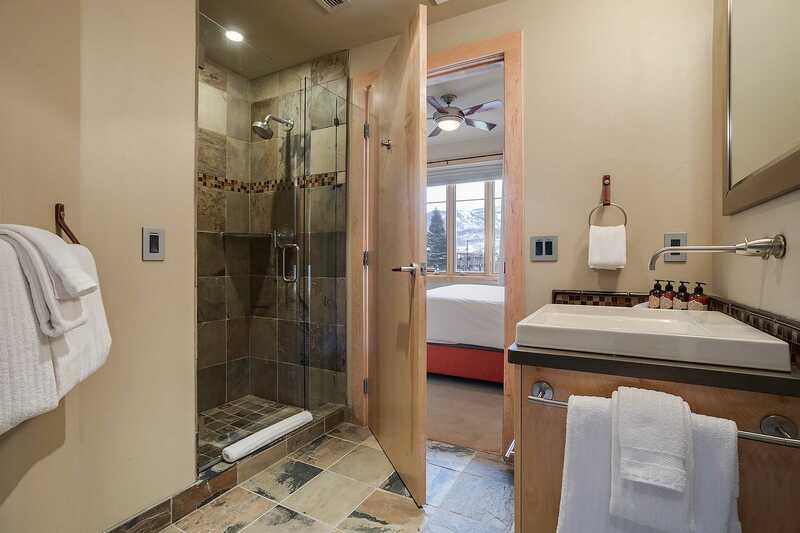 OLD TOWN HOT SPRINGS: Please note that the pool and hot tub available to guests staying at Alpenglow Condominiums, Alpenglow Townhomes, Howelsen Place, and the Olympian are not located at these properties. The pool and hot tub are at the Old Town Hot Springs facility just down the road. Old Town Hot Springs passes are provided to guests at check-in. FREE City Ski Shuttle - The property is located on the FREE city ski shuttle route. 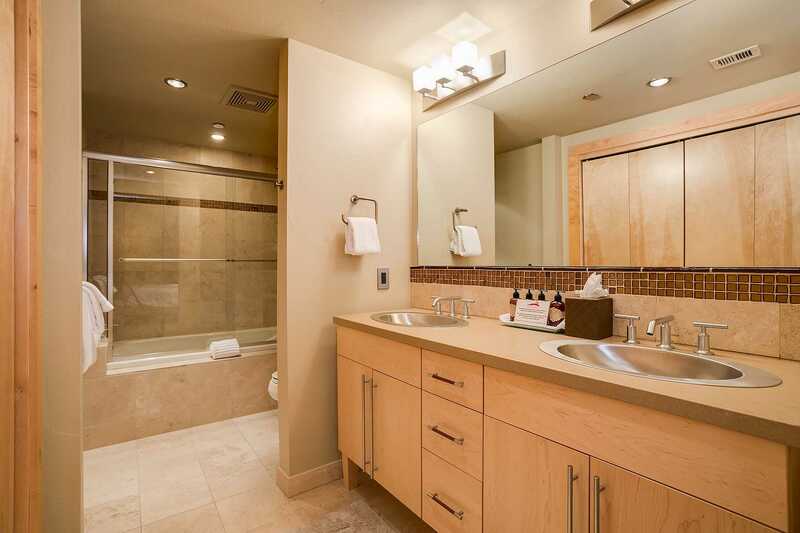 Guests of Alpenglow Condominiums will also receive a complimentary Old Town Hot Springs pass. 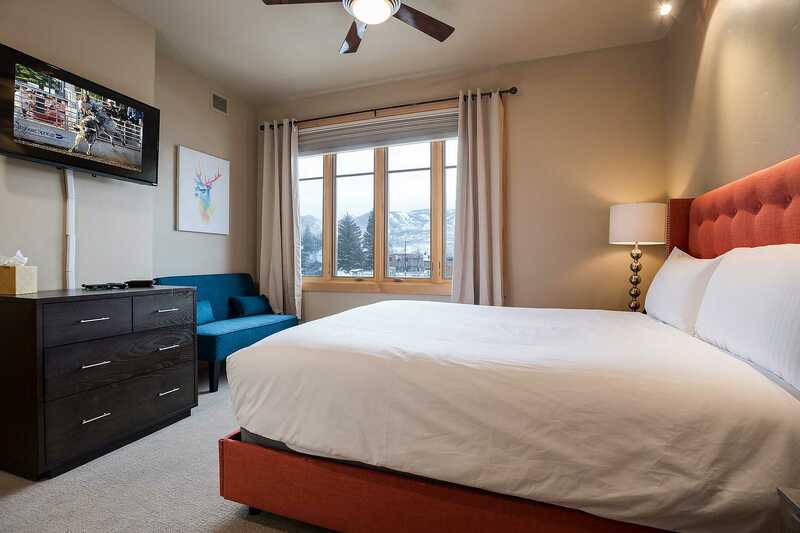 Guests staying at Alpenglow Condominiums have access to the exclusive Gondola Ski Club ski lockers at Gondola Square. 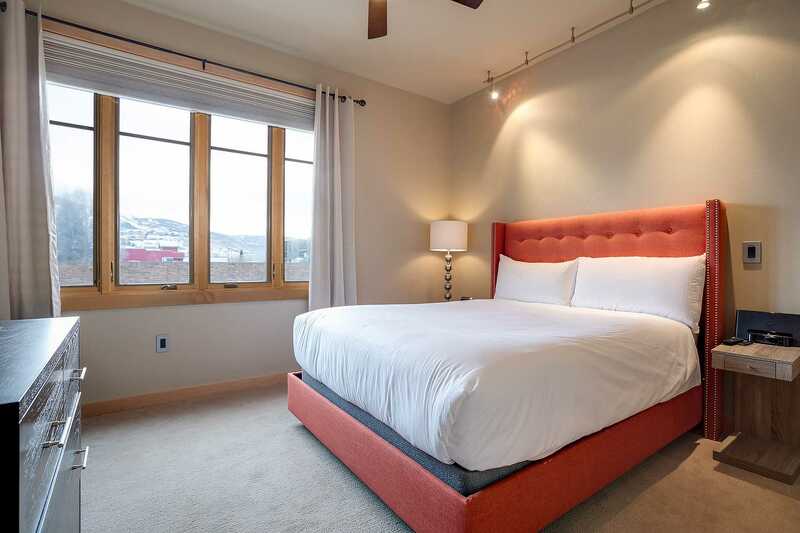 Calculate rates, confirm dates and book ALP2C - Alpenglow Condominiums online. 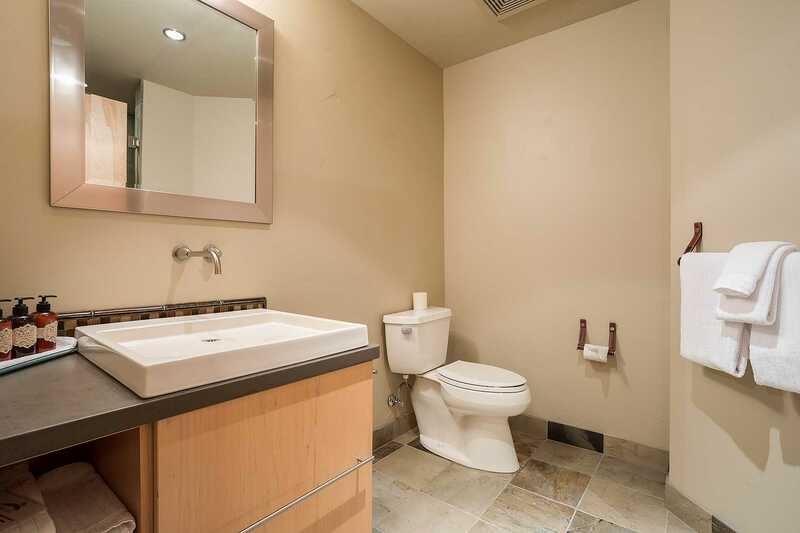 There is a $145 cleaning surcharge (plus tax) added to all stays at this property. 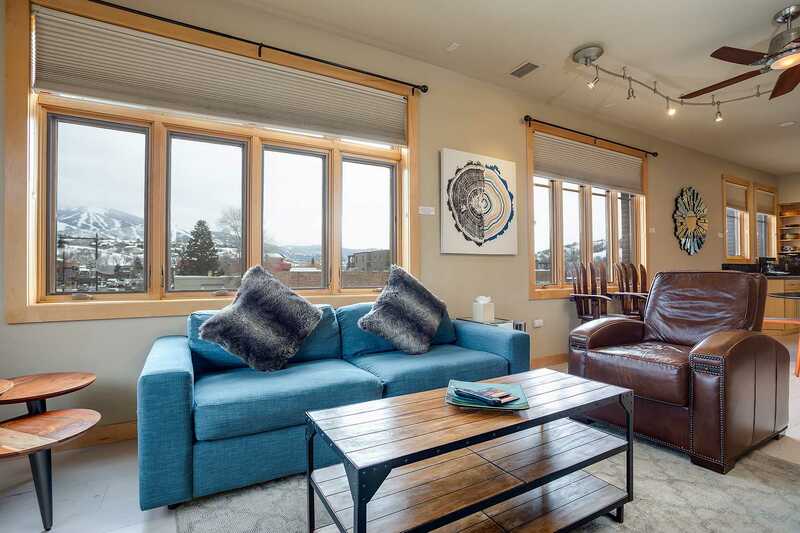 Downtown Steamboat: The Alpenglow Condominiums are located in the heart of downtown Steamboat Springs and is one block away from the free city shuttle.